Get to know the OROGOLD staff! 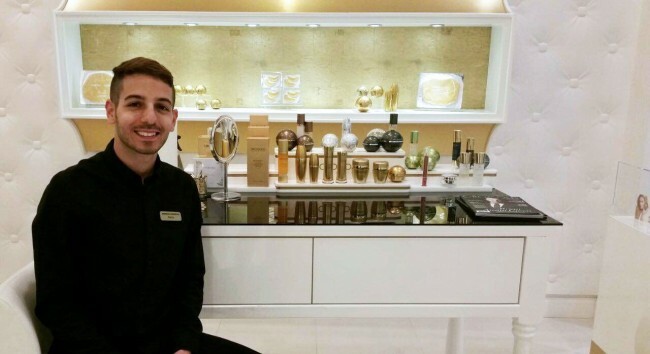 This month, meet Benjo, from our store inside the Dallas Galleria. Benjo has seen firsthand how OROGOLD products have made a difference; both for himself and his customers. In this interview, Benjo gives insights on OROGOLD products, his customers, and his personal skin care routine. Benjo: I have been with this amazing company for a while now. I am a senior skin care specialist and I specialize in treatments that lift and rejuvenate the skin. Benjo: I enjoy making people feel good about themselves! OROGOLD: What’s your favorite OROGOLD product? 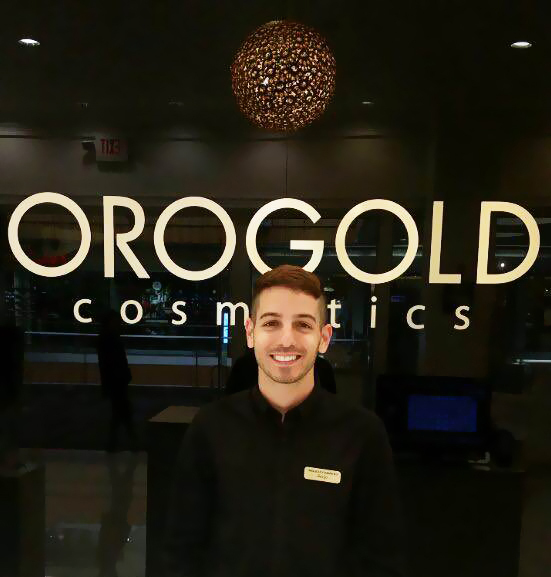 Benjo: My favorite OROGOLD product is definitely the OROGOLD Exclusive 24K Caviar Elastin Restoration capsules. OROGOLD: What products would you recommend to a customer that’s concerned about dark spots and uneven skin tone? Benjo: I would recommend using our amazing 24K Bio-Brightening Collection, which deals specifically with dark spots and discoloration issues. Benjo: Some of them like to send their “after” pictures to show off their brand new skin… and of course they recommend OROGOLD to all of their friends. OROGOLD: What is the most important part of your daily skin care routine? Benjo: As my skin tends to get spots really quick – I never leave the house without using the 24K Bio-Brightening Skin Tone Moisturizer which contains SPF 30 for protection from the sun.